Studio-bound recording project by Imgmar Kiang & Johnny Byrne, both ex New Versions and pre Max. Both singles feature guest singers, Mannix Flynn and Paul Raynor, both now better known as actors. Both singles unheard/unremebered by me, though I have vague memories of an anarchic video for "Dub Rap". Nowadays it would probably be described as a novelty rap single. Eamon Carr and backing signer Marian Woods (later in Max) both guest on it. 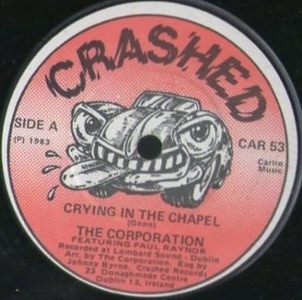 7" - Crashed Records - CAR 53 - 1983 - no PS? 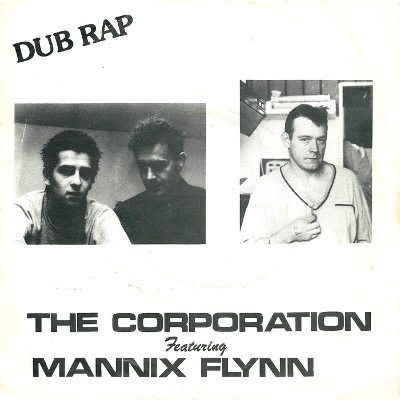 Notes: Billed as The Corporation featuring Paul Raynor on the A-side. Recorded at Lombard Sound, engineered by Johnny Byrne. Arranged by The Corporation.